Nuclear negotiations in Iran have been the hot-button topic of late, as President Obama's administration cuts a deal with leaders of the Middle Eastern state. So far, some in Congress have denounced the lifted sanctions as a weakened appeasement of a hostile threat. 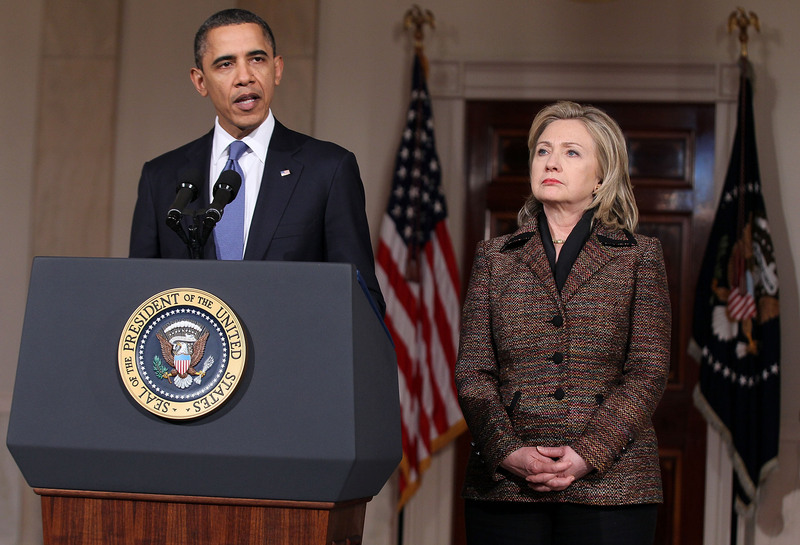 But with today's major presidential campaign announcement, that outlook might just change: according to certain factions, 2016 hopeful Hillary Clinton could handle Iran better than Obama, even when stacked against members of their own party. During a sit-down with CBS' "Face the Nation" on Sunday last week, South Carolina Sen. Lindsey Graham (R) indicated that the only deal many Republicans would back would be one from a different mouthpiece altogether. "The best deal, I think, comes with a new president," said Graham. "Hillary Clinton would do better." Graham also took the opportunity to throw in a jab at GOP presidential candidate Sen. Rand Paul (R-Kentucky). Anyone could do a better job than the president, "except maybe Rand Paul", he added. While its not the most glimmering advocation ever, it's still more than Clinton's rivals can claim. Clinton's tenure as Secretary of State may have helped bolster her credentials as well, whether GOP opponents and critics believe so or not. After spending so much time in the line of fire after the tragic attack on the U.S. consulate in Benghazi, it's difficult to clear through the sludge to discern who "Foreign Negotiator Hillary Clinton" really is — but it's not impossible. This is ... the real nub of it, because if you cannot be persuaded that the Iranians cannot break out and race toward a nuclear weapon, then you cannot have a deal. I believe strongly that it's really important for there to be so little enrichment or no enrichment, at least for a long period of time, because I do think that any enrichment will trigger an arms race in the Middle East. I think if the Gulf looks and says, well, if they have any enrichment, they can do this and then they can do that and then we're off to the races, we've created a very dangerous situation. But if you can define that little in a way that you can convince our partners, not only in the Gulf, but in Israel and elsewhere, that it truly is so inadequate a base that you could not move to break out and if they were making moves toward break out, we would all know and then pursue other kinds of actions. But that's the persuasive case to be made. As Foreign Policy reported on Thursday, Clinton also has a track record of taking a more centrist approach to Iranian deals and uranium enrichment programs, and has been critical of Obama's policies more than once — most notably during her own 2008 presidential campaign. In a brief 2007 interview with the Quad-City Times, during a scheduled campaign stop, Clinton called then-candidate Obama's Iran policies "irresponsible" and "naive", claiming that her rival's offer to negotiate with leaders without precondition underscored his lack of foreign policy experience. The understanding that the major world powers have reached with Iran is an important step toward a comprehensive agreement that would prevent Iran from getting a nuclear weapon and strengthen the security of the United States, Israel, and the region. Getting the rest of the way to a final deal by June won't be easy, but it is absolutely crucial. I know well that the devil is always in the details in this kind of negotiation. The onus is on Iran and the bar must be set high. If Clinton makes it to the White House in 2016, its likely that both both political parties will get what they want — at least in one way or another. With each passing day, it's becoming more clear that Hillary Clinton may be just the sort of moderate foreign policy expert the United States so desperately needs.